WBD ended fiscal year ’17 with record-level loans and with a solid number of jobs created. In 2017, WBD approved just under $130 million in SBA 504 and SBA 7(a) loans—the second most productive year since the company was formed in 1981. Additionally, we helped in the creation and retention of over 1,200 jobs. WBD, which is designated through the U.S. Small Business Administration as a non-profit, Certified Development Company, exceeded $100 million in approvals for the third consecutive year—another first for the company. WBD is embarking on a new effort to significantly expand our training offerings to lenders and to small businesses throughout our markets. The trainings will draw from WBD’s thirty-five years of SBA experience. Jeff Sheffler, former Vice President and Loan Officer in Northeast Wisconsin, has been promoted to Vice President of Training & Development to lead WBD’s efforts in this area. Jeff is excited to share his nearly 20 years of SBA lending experience with financial institutions, with small businesses, and with other economic development organizations. Becky Schneider, WBD’s Lender Services Manager and one of Wisconsin’s foremost 7(a) subject matter experts, will join Jeff in delivering this expanded training initiative. In addition to explaining basic SBA lending rules, Jeff and Becky will provide “color commentary” on the black-and-white (and sometimes gray) world of SBA lending. This initiative is offered through the WBD Service Company, which provides SBA lending services and support to financial institutions. To learn more about trainings, topics, or times, contact Jeff Sheffler or Becky Schneider. 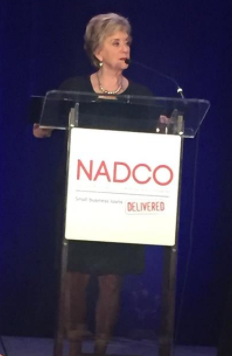 WBD leadership is attending the National Association of Development Companies (NADCO) Annual Meeting this week in San Antonio, Texas. Industry experts (including WBD VP of Strategic Communications Lance Walter) will discuss policy, internal controls, servicing, development, social media, and many more SBA-related topics. SBA Administrator Linda McMahon joins the event as the keynote speaker.The event began with policy updates. WBD will provide updates and clarification in the weeks ahead. A new version of the SOP was finalized and made public on 10/13/17. The new rules will go into effect on January 1, 2018. SBA staff will discuss these changes throughout the annual meeting. 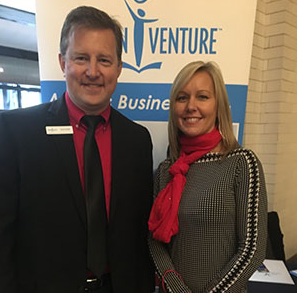 On Friday, Oct. 13th, WBD Vice President and Loan Officer April Nelson (pictured above with WomenVenture Senior Loan Officer Jason Burak) attended the “Women Mean Business Luncheon” hosted by Women Venture. Over 1,000 business professionals and community leaders attended this event, including U.S. Senator Amy Klobuchar. This fall, Women Venture is celebrating 40 years of helping women achieve economic independence and success. 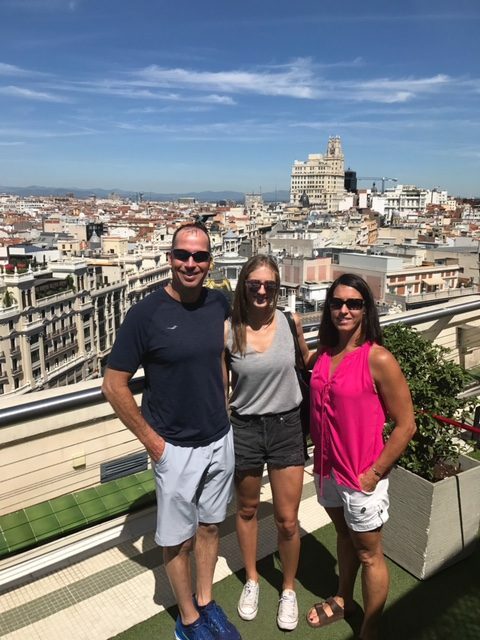 Mike and his wife Cheryl visited their daughter, Kayla, who lived and taught in Madrid for three years. While he decided NOT to open a WBD office in Spain, Mike thoroughly enjoyed the vacation—which included visits to several villages and to a national park in northern Spain.